Unable to Connect to NVIDIA – How To Fix GeForce Experience Update Error? 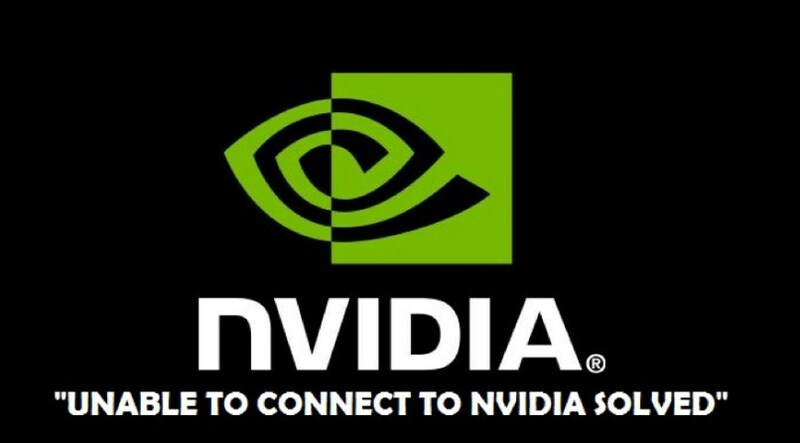 There are tons of people who encountered an error called Unable to Connect to NVIDIA and with this issue, they cannot connect to NVIDIA when they are updating their Windows OS 7 or above. However, “Unable to Connect to NVIDIA” can be solved by using some few solution methods. In 2014, there are lots of players who can so many difficulties when they attempt to update their operating system or replace the old Video Card with the new one and they faced GeForce experience unable to connect to Nvidia error that time. Although it is a persistent challenge even if we search for improvements of the OS, there’s been no stable fixes from NVIDIA. While installing picture cards, Nvidia comes with the perfect and never disappoints the gamer’s technology with their software. So below we are going to share the complete procedure with step by step process to fix Unable to Connect to Nvidia issue. You can also use Acestream for MacOS which can help you to watch sports channels live. So if you are using NVIDIA graphics card and you got an error message like “Unable to Connect to NVIDIA. Try again Later” when you try to use GeForce Experience to update the display driver, then let me tell you that you are not alone to face this issue because there are tons of Windows users are reporting this issue as well. You don’t need to worry about, this issue will fix, and we are going to share the most trustable methods to learn how to fix this error where you failed to connect to NVidia GeForce now. Simply follow below methods and find out which one is perfectly working for you. If you are running a version of GeForce Experience older than 2.5.x.x than you have to upgrade it to the latest GeForce Experience version. You can download the latest version of NVIDIA support website. Then simply run the installation so as to make sure that you have the latest version of GeForce Experience. Well, if the issue is still there than you can continue with below methods. The main reason for this error could be that the NVIDIA Network Service stuck in starting status. This would trigger issues in connectivity in the network and makes it impossible for you to download anything via GeForce Experience. On your keyboard, Press the Windows Key + R at the same time, and enter MSC and press ENTER. Now press the N Key on your keyboard to faster locate NVIDIA Network Service. Make sure that the status of this service is Starting. Go to C:\ProgramDara\NVIDIA Corporation\NetService\. Delete XML, which should be an XML document type file. If you can’t see this file listed here, you need to tap on show hidden folders. On your keyboard, press the Windows Key + X at the same time and tap on Task Manager. Click the Details tab and exe and then tap on End Task. Go back to Services windows, right-click NVIDIA Network Services and start it. Now your GeForce Experience should be working properly now. If the above methods fail to resolve the issue for you, but you need to check for the alternative to download and update your NVIDIA graphics driver. Manual Driver Update: You can update your NVIDIA graphics card driver manually via the Device Manager or Windows Updates, or simply search for it by yourself on NVIDIA Support online web pages. If you don’t have the time to check or you are impatience or you don’t have any computer skills to update the drivers manually, you can simply download any good software that wills Update Windows Drivers Automatically. It will help you to automatically download the latest version of the GeForce experience on your Windows 10 or any other operating system of Windows and install it on the same by deleting the existing version of the software. Once it installed, you can now check for the updates and the issue will be resolved but we recommend you to uninstall the driver manually. It is one of the advanced options that included the changing of the hosts, IP address which needs a certain level of expertise and should not be tried by novices. Go to C:\Windows\System32\drivers\etc and open the host in the Notepad. Create a backup copy of the available text before editing it. Change the “0.0.0” to “127.0.0.1” or simply remove “x.x.x.x” localhost. If you can’t edit it on the spot then you can copy page it in notepad and edit it and then paste it back. Now open and try updating GeForce again and it should work. So these are the solutions that are listed in this post and we used these methods by ourselves as we have faced similar problems in our computers. We hope you find these solutions helpful and now you can solve NVIDIA connect issue that is known as “Unable to Connect to NVIDIA”. We hope you find this guide helpful in Unable to Connect to NVIDIA and now you have top 5 solutions for this error. If you like this post then share it with your gamer friends and family members so when they face this issue, they can resolve it easily for free of cost.